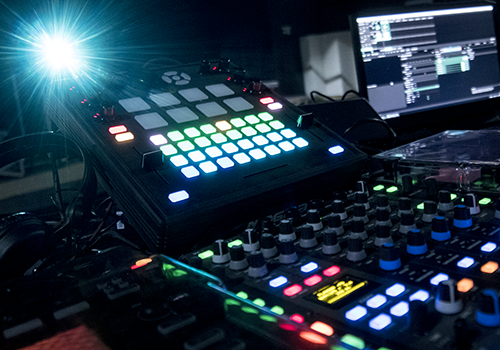 The lightweight workhorse with enough power to meet all your DJ needs for the foreseeable future. 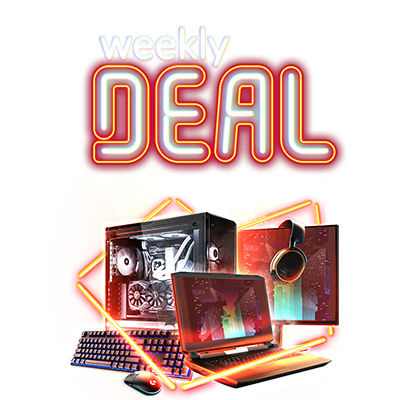 Features 8th-generation i5 or i7 CPUs, a non-glare 14" Full HD IPS display, a backlit keyboard (white), room for up to a whopping 6 TB of SSD storage and up to 32 GB of RAM. 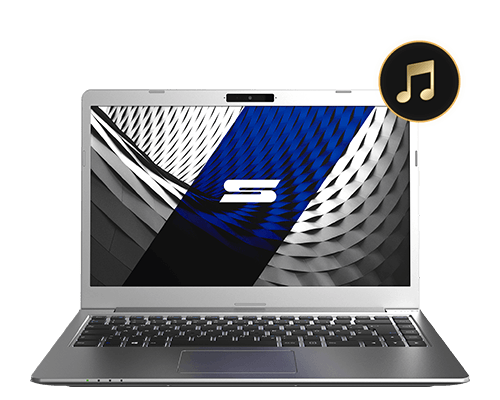 Enjoy supreme connectivity thanks to two USB-A 3.0 ports, one USB-C 3.1 / Thunderbolt 3 combo port, Mini DisplayPort and HDMI as well as an SDHC card reader and an RJ45 Ethernet port. 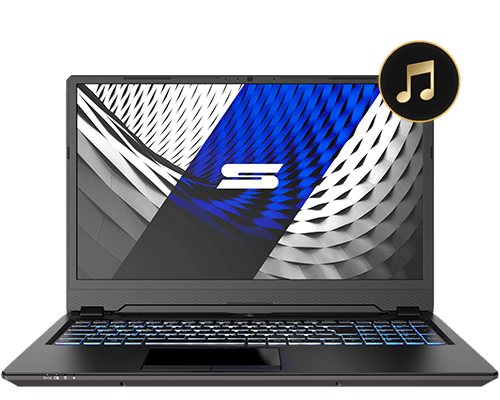 With its outstanding design, sleek 15" form factor and 23-colour backlit keyboard, it's easy to see why we chose the SLIM 15 as the flagship Audio Edition model. 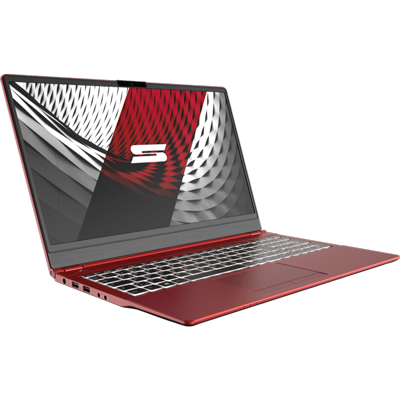 It features an 8th-gen i5 or i7 CPU, a 15" non-glare Full HD IPS display, up to 64 GB of RAM and the option to to choose between an additional 2.5" SSD/HDD or a larger battery. Two USB-A 3.0 ports, one USB-A 2.0 port for backwards compatibility, one USB-C 3.1 / Thunderbolt 3 combo port, Mini DisplayPort and HDMI as well as an SDHC card reader and an RJ45 Ethernet port make sure you won't need adapters for anything. 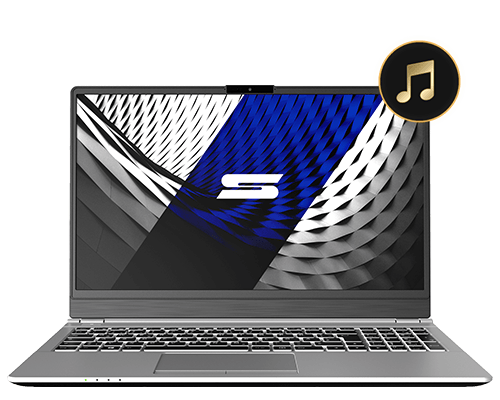 If you're a DJ who likes to stand out, this variant of the SLIM 15 Audio Edition was made for you. 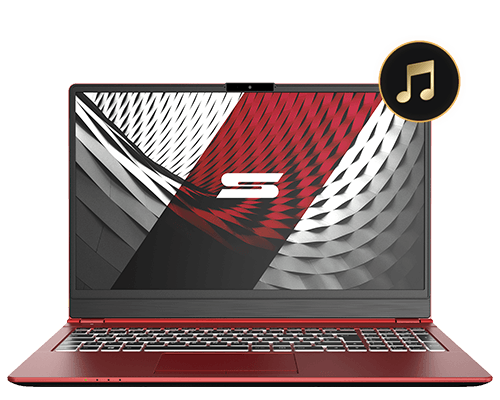 While it's identical to the SLIM 15 on the inside, the crimson red anodized aluminium chassis is a classy eye-catcher (the keyboard backlight can be set to red as well) - and like all the Audio Edition models, it can be branded with your very own logo. 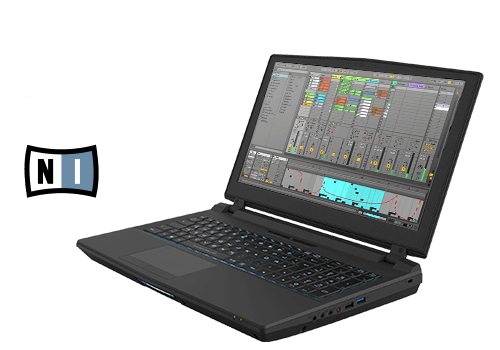 Oh, and it will run Serato DJ Pro with a Rane setup at a buffer setting of 16 samples at 48kHz. This translates to a driver latency of 0.33ms - pretty much as fast as it gets without bending physics. 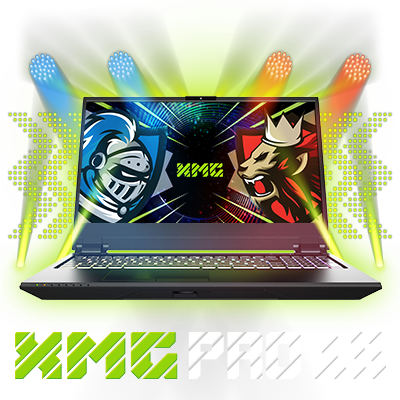 Equipped with a powerful 8th-generation i7 CPU, a 16" Full HD IPS display (144 Hz), up to 64 GB of RAM and a full RGB backlit keyboard, this is the machine we recommend to producers and DJs who want to push their performance further. A maximum 8 TB of storage gives you plenty of room for all your libraries. 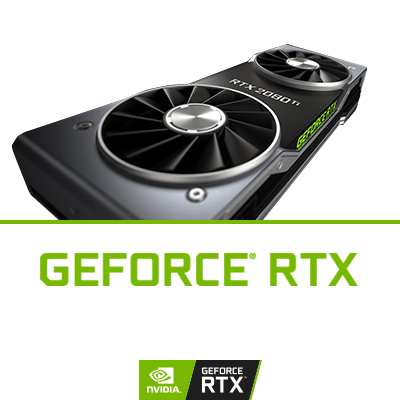 NVIDIA's brand new GeForce RTX GPU line (up to RTX 2080 Max-Q) allows you to unleash more complex visuals than a video DJ set. 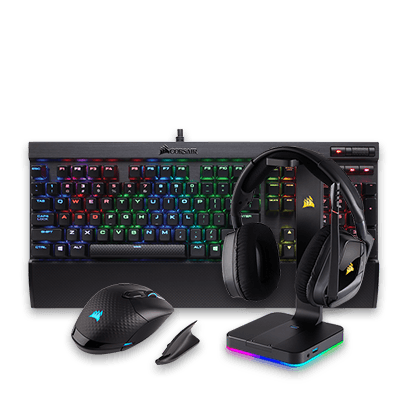 Features two USB-A 3.0 ports, two USB-C 3.1 ports, Mini DisplayPort and HDMI as well as an SDHC card reader and an RJ45 Ethernet port. 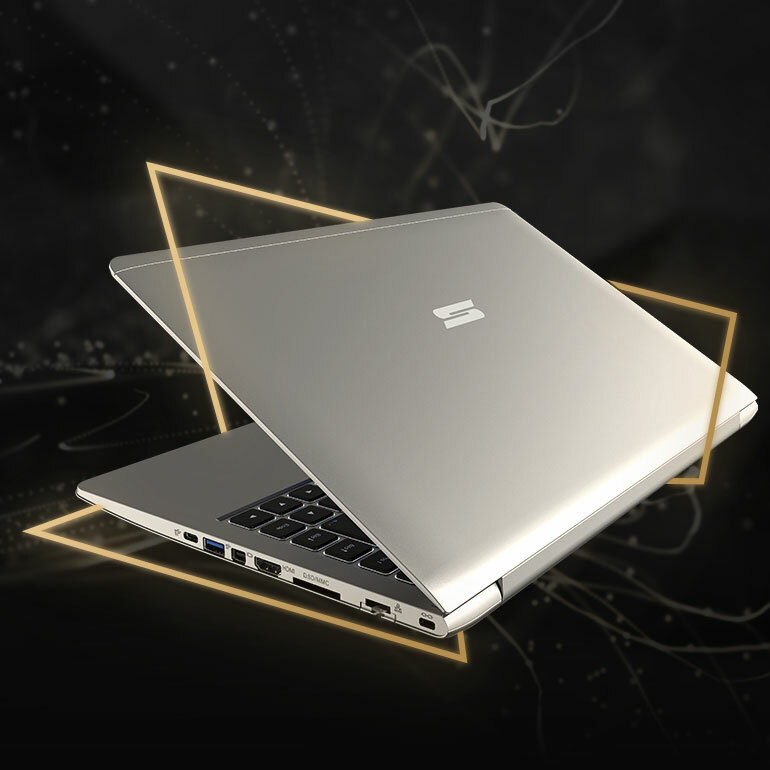 The grand champion of all performance laptops, capable of handling anything you could possibly want to throw at it. "DTR" stands for "desktop replacement", and the name is the game. 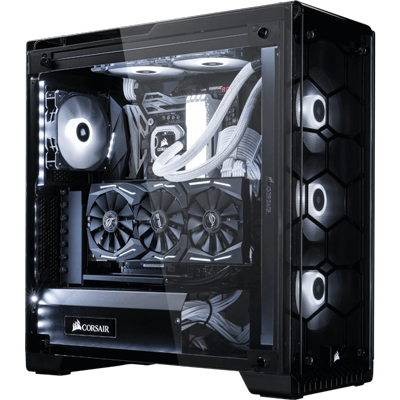 How about a 5 GHz, 8-core i9 desktop CPU, 64 GB of RAM, up to 12 TB of SSD storage and an NVIDIA GeForce RTX 2080? Of course, it also has superior connectivity: three USB-A 3.0 ports, one USB-A 2.0 port for backwards compatibility, one USB-C 3.1 port, one USB-C / Thunderbolt 3 combo port, HDMI, two Mini DisplayPorts, an SDHC card reader and RJ45 Ethernet. We get it: all you want is to just fire up your laptop and start rocking. That’s why we did all the hard work for you in advance! 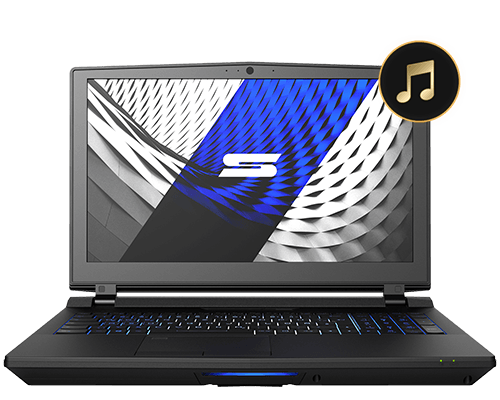 Every SCHENKER Audio Edition laptop comes with its own, hand-crafted installation of Windows 10 Professional that only includes the bare necessities: up-to-date drivers for the hardware components in your machine and a whole lot of system tweaks that ensure peak performance with no effort on your part. 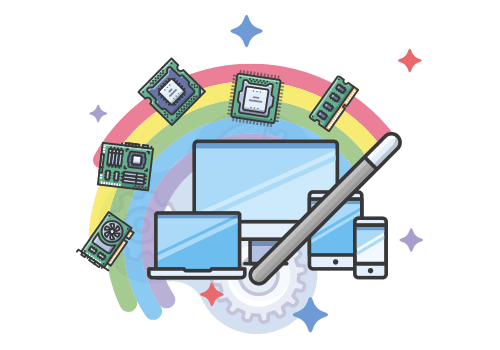 Our product portfolio covers every form factor and performance demand you may have - from the super-portable ultrabook to the ridiculously powerful desktop replacement laptop, and everything inbetween. The recommended configurations are fully flexible and most components can be upgraded at a later date as well. We’re ready to help you make sure that your machine stands the test of time! We’re committed to making sure that every professional who chooses to rely on our machines can really rely on them. 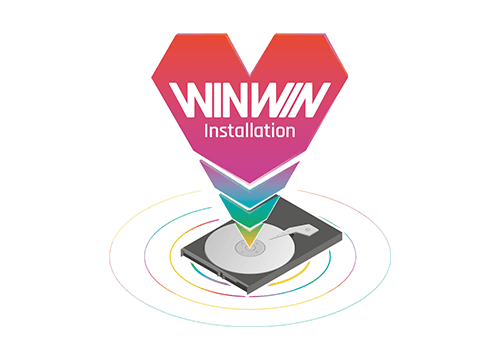 To that end, we are working closely with leading industry brands and artists who use our products, keeping up with third-party software and hardware updates - sometimes even pre-release. 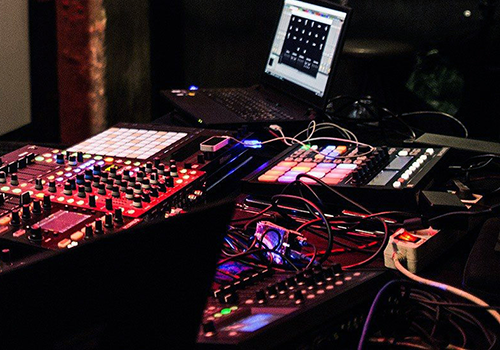 Ask our support team about compatiblity with your current DJ or production setup! Not a fan of hubs and adapters? Great - neither are we! Especially not on stage. The machines in the SCHENKER Audio Edition line-up feature regular USB-A ports for connecting your audio hardware, in addition to nearly all other standard connectors you could possibly have a use for. Find out how little you’ll have to worry about by navigating to the “Technical Specifications” tab on each product page - or drop us a line. Don’t let the “Audio Edition” label fool you. 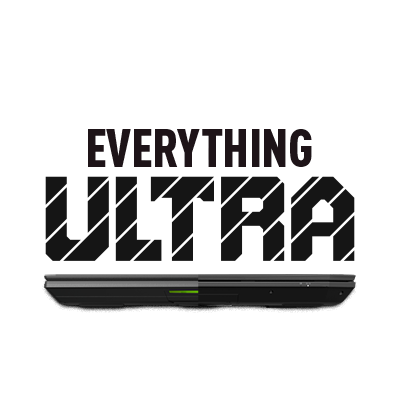 These laptops were by no means designed exclusively for DJs and music producers. The SCHENKER DTR 15, for example, can be fitted with the most high-end of components available on the market. 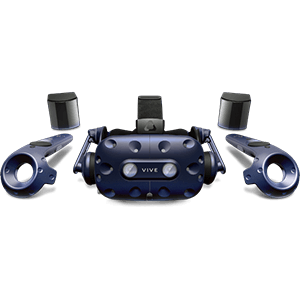 Are you a VJ, motion designer, interactive or VR content creator in need of some serious firepower? Playing AAA games after hours? Don’t worry - we’ve got you covered. We appreciate it if you stick with our factory branding - but you don’t have to. We do custom work in-house, allowing you to make your machine truly yours. Want your full colour logo printed directly onto the cover instead? Done. Laser engraving on the space bar? No problem. Contact us about your ideas and we’ll tell you how much can be done with your chosen SCHENKER Audio Edition model. Understandably, a lot of potential SCHENKER Audio Edition users won’t be too familiar with Windows itself. Don’t worry - we’ve got your back! Our knowledge base, launching February 2019, will feature a growing collection of step-by-step guides and short videos covering common topics and use cases.  Remember that our award-winning support team is ready for you anytime - in fact, every single one of your questions helps us improve, so: ask away! Wouldn’t it be great if a support person knew that Traktor has nothing to do with agriculture? We think so, too. That’s why we’ve got actual Audio Edition users running support for these machines. Don’t be afraid to get technical with your questions - we’re getting technical on a daily basis. Our knowledge base will also feature a frequently updated list of hardware and software that has been successfully tested in live conditions with each machine. Because that’s how it should be done. One of the common pet peeves among digital live performers are unwanted system updates.  This was our reason for choosing Windows 10 Professional as the basis for our custom installations. 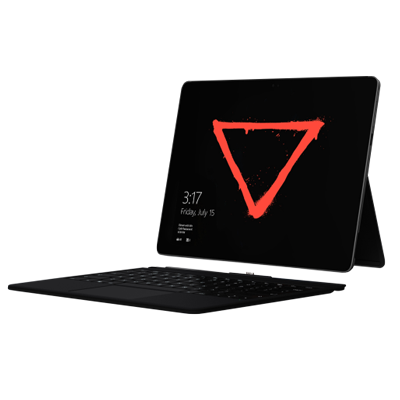 Unlike the Home version commonly found on off-the-shelf laptops, this version allows in-depth control over your machine’s update behaviour. If you’re touring, you can completely suspend any updates for a total of up to 35 days. You can also define Active Hours - a time slot of up to 18 hours each day during which updates can’t even be triggered manually.